Hi Nerds, Can I join your club? Discussion in 'New Member Introductions' started by rolie, Apr 13, 2019. Would you buy a fully upgraded and modifed painted squier guitar ~$500? Very cool design. I think that would be a great hobby. I wish I had artistic talent like that. I can barely draw in a coloring book. But I'm with GM. The only way I'd spend $500 on a guitar is if it retailed for $1000. rolie, waynes world, dbrian66 and 2 others like this. Dang it Eddie I was gonna say that. I will add that if you could make a buck hot rodding squiers I woulda done it long ago. rolie and dbrian66 like this. Yeah I figure I can test my skills on squiers first to test the waters. Kinda hard to find a good deal on used fender guitars. Anyone know where to get decent used fenders, maybe mim? Iv'e tried craiglist, offerup, guitar center, samash, reverb? Seems they go pretty quickly. Ill check these forums. Welcome to ST cool paint job on the mustang. dbrian66 and rolie like this. Hey whoever cast the vote that you would buy a modified squire for $500 pm me. I got a good deal for ya!!! squierbilly, rorygman and dbrian66 like this. Bummer that you were disappointed in your upgraded guitar. I would be sickened if I were the seller selling a non functional and chipped guitar. I would be opposed to selling you something like that. I want people to be satisfied in purchasing a custom guitar. Something that can be inspired by at an affordable price. Oh, no, nothing like that. It's worth keeping in mind this guitar is 25 years old and was clearly loved and played during all that time. Functional-wise it was great, the luthier who was selling it out of commission (got it like that, it wasn't him painting it either) had fixed it all up and it had new frets and a full setup done. All the issues besides the refinish were normal and none would steer me away from buying it, had he accepted to lower the price for more reasonable values given the condition - oh well, though it was pretty cool being a Jackson with mahogany body and Gibson-style scale (and had the same bridge pup the founding guitar player of Marilyn Manson used), I ended up quite better served with my new PRS SE. Going back on topic, trust me I admire you for wanting to pursue a dream which you clearly have the talent for. Your design was really well made and I found it interesting how you implemented the seafoam green color you clearly like from your own guitar, and given you'd be painting them by hand, quality wouldn't be lacking for sure, either! Now, I also found @dbrian66 's idea of painting bodies and selling them as such really interesting - modded guitars are hard sales by themselves given people aren't willing to pay for the extra parts (and may not even like your choice of pups and hardware - again from my guitar life stories, I was recently on the edge to buy a Strat CV 60s that had been modded yet came with the original parts - I just had no interest in any of the mods done and was already planning on putting it back stock). Selling just the bodies would allow you to make up pretty much all the money you've paid for the guitar buy selling all the rest and allow you to sell the painted body for a price that while being reasonable given all the craftsmanship, still was affordable enough for anyone looking for a unique project starting point. rolie, Dave M and squierbilly like this. rolie, dbrian66 and squierbilly like this. rolie, Shaytan, dbrian66 and 1 other person like this. Hey there @rolie - welcome to Squier-Talk : enjoy!! I entirely agree with Guitarmageddon and other posters. But good luck!! You need to get in touch with this guy..
Shaytan, dbrian66 and Dave M like this. Just so ya know.... every minute of every day....there is someone looking for a guitar ...looking for that "deal". They are...were there...a minute ago. .so when you see one, you gotta have the $$ to put down right then, or keep looking. Wow, that looks interesting. Sounds a little too good to be true though. He doesn't really show that were made by fender though. He also doesn't seem that interested in taking better photos for customers either. Worth checking out though for sure. I'm gonna hit him up, thanks for find! Thank @Dave M he found the listing.. This guy might be in your neighborhood.. definitely worth a drive buy to see what he has..
Was wondering if these are actually made by fender? If they are I may be interested in buying a a bunch of your inventory. If they are do you have any sort of proof. I'm trying to make custom guitar for people and typically they want to know the origin of neck and body. Those dont look like typically fender bodies lol. Do those bodies look familiar to anybody? 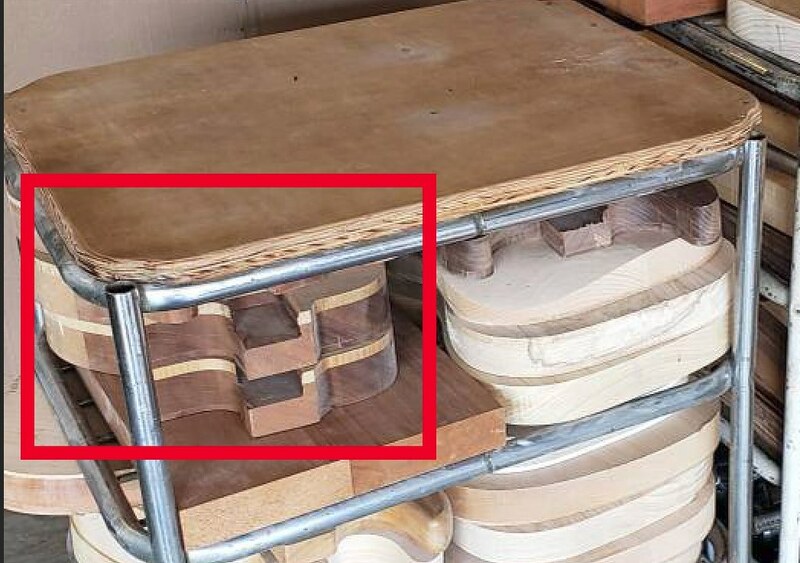 Either he bought sombody's stock of cut raw guitars, or he makes them..or inherited... .your are not gonna find a fender made body for $35.......this pic looks like raw bodys ready for shaping....and then sanding...least pockets are cut.. I was recently on the edge to buy a Strat CV 60s that had been modded yet came with the original parts - I just had no interest in any of the mods done and was already planning on putting it back stock). Selling just the bodies would allow you to make up pretty much all the money you've paid for the guitar buy selling all the rest and allow you to sell the painted body for a price that while being reasonable given all the craftsmanship, still was affordable enough for anyone looking for a unique project starting point. Yeah I would never actually upgrade vintage fender pickups. 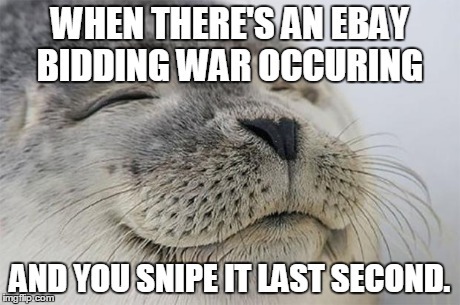 I figure that would be that would be one of the reasons to buy vintage. Squire pickups I heard can be made of ceramic or alnico, which can be upgraded easily. Heard I can test by color or with multimeter. Also alnico is conductive, you can put your meter on the ohms setting 20K and touch each end of the magnet with the probes, if it's alnico you should get a reading od 0.00 if ceramic it will read open. 35 buck I can't beat that anywhere. It would be shady on my part to claim that it is a fender body, it could be a squier, or something else entirely. Just not sure why that weird body shape would be there. Also this seams a bit shady already complaining about taking more pics. Like he has something to hide? Even with money it would take hard work. If these are in fact fenders, I may drop a dime on them. It would save me time in sanding and priming bodies. A lot of neck looks unfretted too, not sure I would venture into that area, considering I would way need more tools. Do want I to be a luthier or designer? I feel I fall in the middle somewhere. Check this guy out, seems like he is successful, think you gave up on your dream too early. Just because a pickup uses ceramic bar magnets, it doesn't mean it's bad... My custom Squier SE (the one you can see in my avatar pic) has a set of Squier Silver Series pups, which are the same used on the highly regarded E Series - Japanese-made pickups straight out of the Fuji-Gen factory. Among the rest of the electronics, the stock ceramic pups were, indeed, replaced with ceramic pups as part of an experience (got them for cheap, the people who actually tried those pickups spoke well about them and if they were disappointing, I could always sell them later on). Well, they won't be going anywhere for sure, they're very versatile, have quite a dynamic and bright sound and can scream when overdriven! I've even compared them against the equally ceramic pups of a Fender Mexican Standard and mine were noticeably nicer sounding and more versatile.